Thesis presentations are all wrapped up at CDES and I can proudly give my congrats to the thesis/capstone prize winners that I worked with. The image above is from Laurie McGinely’s M Arch thesis presentation (I’m on the far left) who pushed aside the mandate to design a building with an investigation of ‘ephemeral modeling’ that generated 3d models from stereo photography. 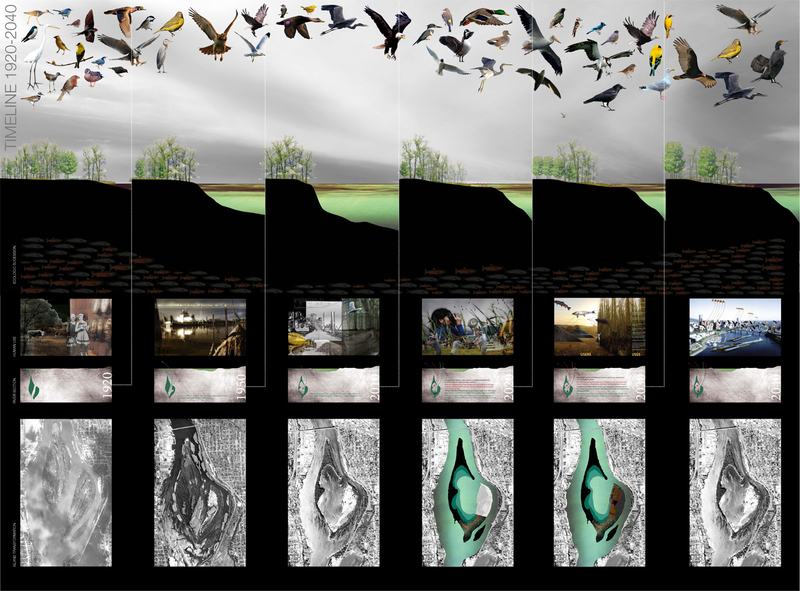 Of my MLA Capstone students, capstone prize winner Jumana Golden created a profoundly spiritual and provocative proposal for creating a ‘4th nature’ on Ross Island in Portland, Oregon. Stand by for images from Rachel Baudler’s MLA project for Grand Isle, Louisiana that proposes using old oil production platforms for burial at sea with reef balls. Okay, that’s a lame description of a very moving and powerful project. This entry was posted in teaching and tagged Jamuna Golden, Laurie McGinely, Rachel Baudler by Barry Lehrman. Bookmark the permalink.